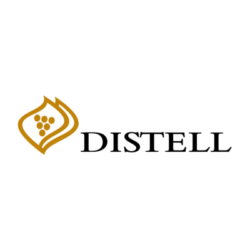 Distell is a great company rooted in South Africa, crafting leading liquor brands for people to enjoy responsibly at every occasion world wide. We create exceptional brands with strong consumer focus offering real value for money across the pricing continuum. It all begins at the southern tip of Africa. Along a brooding, craggy coastline, where two mighty oceans meet. The cold, refreshing waves of the Atlantic Ocean collide with the warm, inviting waters of the Indian Ocean. A unique climate is formed Inland, where our grapes are grown. The influence of this terroir on the Western Cape’s vineyards is significant. In the lead-up to the harvest, the cooling breezes and mists ensure wines with a good balance of acidity and fruit. Then, during the last few weeks of the ripening period, the grapes soak up the warm African sun to intensify their flavour. The balance of warm and cool works perfectly together to create lively, fruity approachable wine. 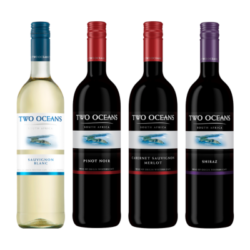 The result is a collection of crisp whites and delicious reds of international quality, crafted by the African Sun and Cool Sea Breeze. The Foundation range revives a tradition begun by Nederburg’s founder, Philippus Wolvaart, who acquired land in the Paarl Valley in 1791. This laid the foundation for Nederburg as South Africa’s most prized name in wine. 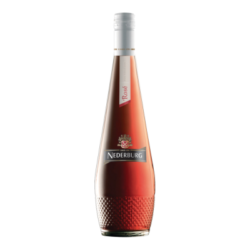 The range is softly styled with fresh and fruity aromas, making it perfect for everyday drinking.